Actress Maureen O'Hara has died in Boise, Idaho, aged 95. She was born Maureen FitzSimons on August 17, 1920, on Beechworth Avenue, Ranelagh, Dublin. 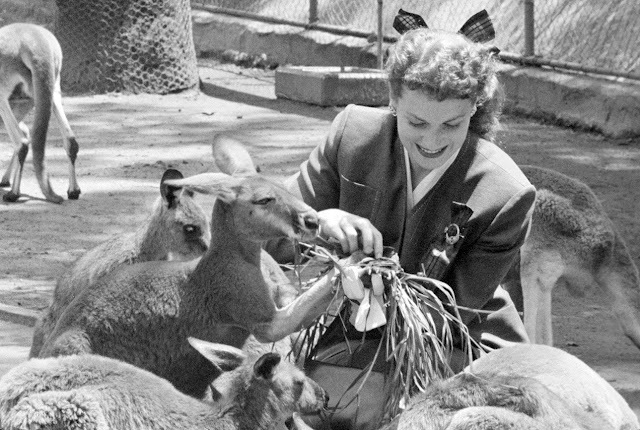 She was one of the last surviving stars from the Golden Age of Hollywood. The caption for these 1942 images was: “The stories they’ve told! 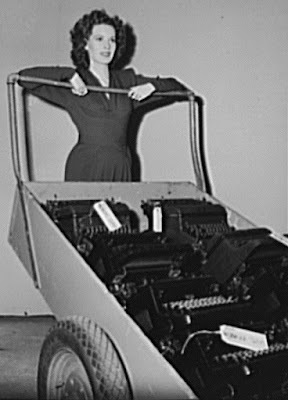 Another load of RKO Radio typewriters is turned in to the government for war work. 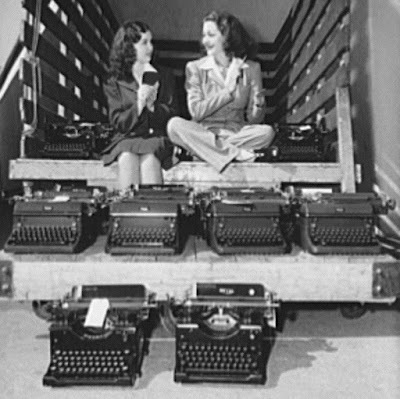 Somewhere in the lot is Maureen O’Hara’s personal typewriter, which she added to the pile before she would pose in the picture. The machines come from the script department, where each one has played its role in recording countless memorable scenes for screenplays. Taking time off between the shooting of scenes at the RKO Studios in Hollywood, Miss O’Hara helped collect more than 70 typewriters for future use by the Army, Navy, and Marines.” Americans were asked to donate 600,000 typewriters for use in World War II. 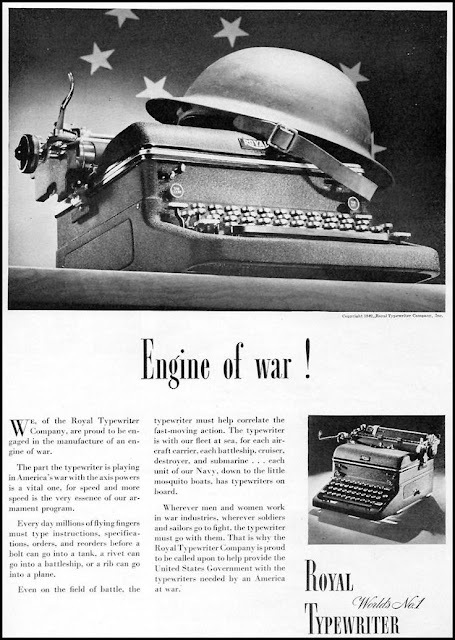 Below: "Send your typewriters to war. 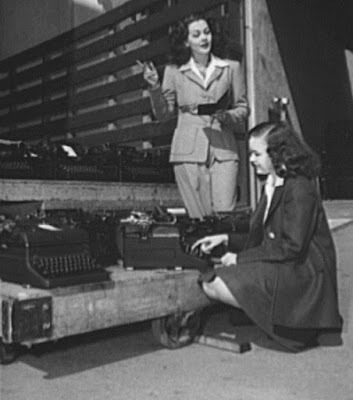 At Universal City, California, Maria Montez, glamorous Latin-American movie star, and Gloria Jean, typical of young America in Hollywood, helped collect more than 100 typewriters for the Army, Navy, and Marines. 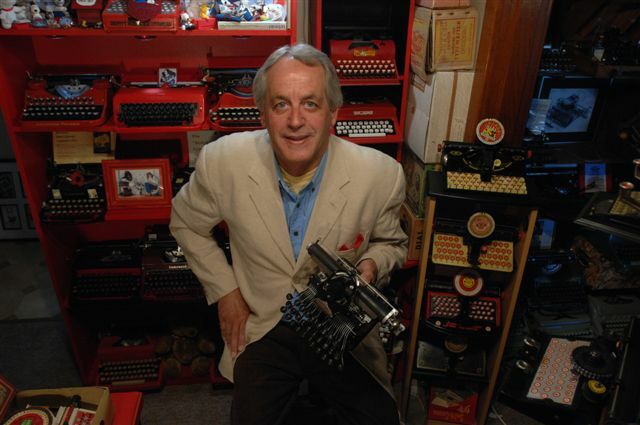 Only machines manufactured since January 1, 1935, were commandeered; no portables were wanted." 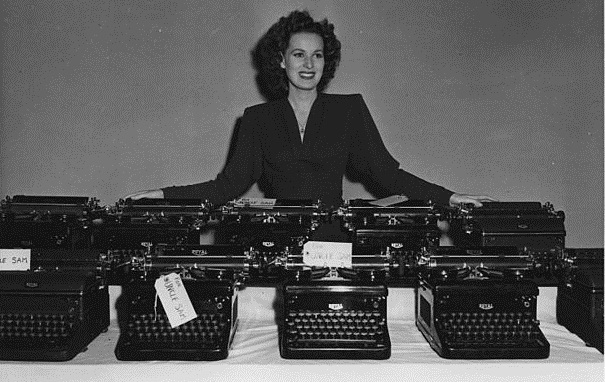 Above, Maureen O'Hara in 1940. She was born quite close to where I once lived in Dublin. Below at the Taronga Park Zoo in Sydney in 1951, while here to star in 20th Century Fox's film Kangaroo. Great pics Robert. Maureen O'Hara is one of my all-time favorite actresses. I really loved the move _The Quiet Man_ that she did with John Wayne. She looks stunning in that 1940 photo, must be early Kodachrome. Do you suppose the US Government's quest for uprights during the war affected the available stock of typewriters from that era today? 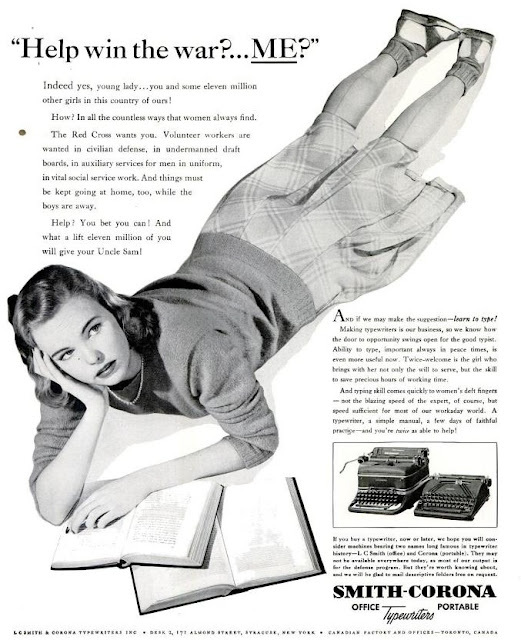 Are portables of that era more easily found today than uprights? Wonder what happened to all the typewriters after the war.